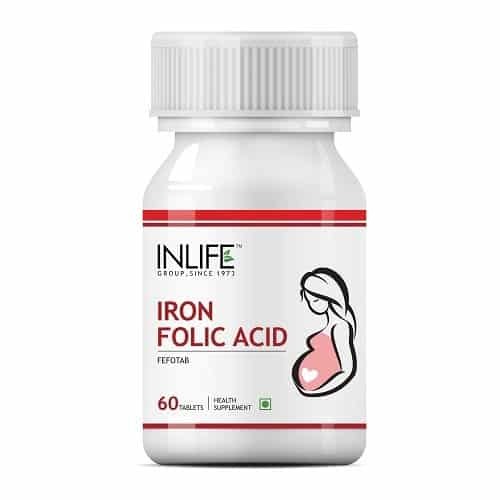 Iron is an essential mineral for our body especially for women and pregnant women. 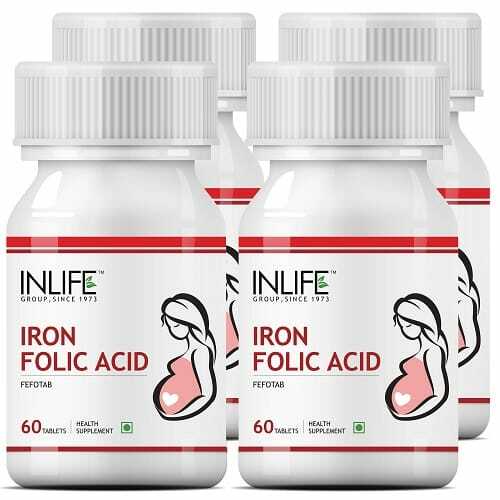 Girls who are suffering from anemia are suggested to have Iron Folic Acid supplement to reproduce iron in the body. It helps in RBC production and improves the nutrition level in the body. Not all iron rich food items can help in the formation of iron in the body. 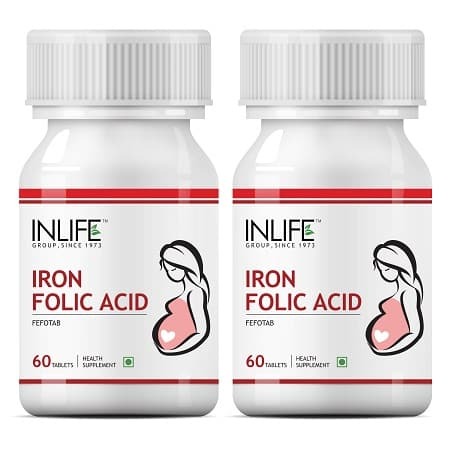 So, INLIFE brings you the iron supplement to give your more iron in the body and make you feel more energetic. Folic Acid is b-complex vitamin and helps in the synthesis of nucleic acid and blood. It supports in healthy pregnancy and give you more strength. The supplement is made of 100% natural ingredient and it will give you a great solution. Are you still in doubt? Then, you must talk with health care professional. The concerned expert will share you all the benefits of the Iron and the supplement. Once you get an idea of the supplement, you can easily buy them to check the definite result. You can buy the pack of the supplement from the online store on cash of delivery and it will save your time and money.